Sushi is probably the type of fastfood that I miss the most as it is so different from european food and it gives you a feeling of having a more or less healthy meal. 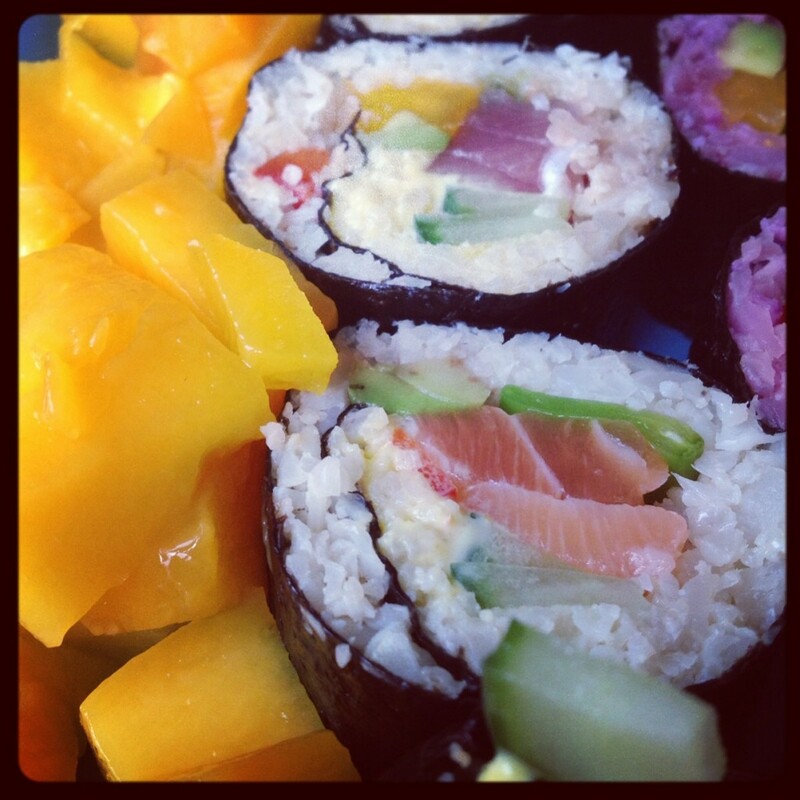 The backside of sushi, and most fast food in general, is that you end up feeling heavy and uncomfortable afterwards.. But I’ve found a solution for this. 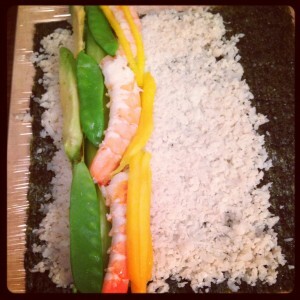 Paleo sushi based on cauliflower rice! It requires sometime in the kitchen, but it is worth every minute..
Grate the cauliflower finely by hand or in a food processor and steam it in the microwave oven. Remove excess water and let it cool down. Make the vinaigrette by mixing salt , pepper, vinegar and oil – you’ll have to taste your way to how want your rice, but normally they should be slightly acid. 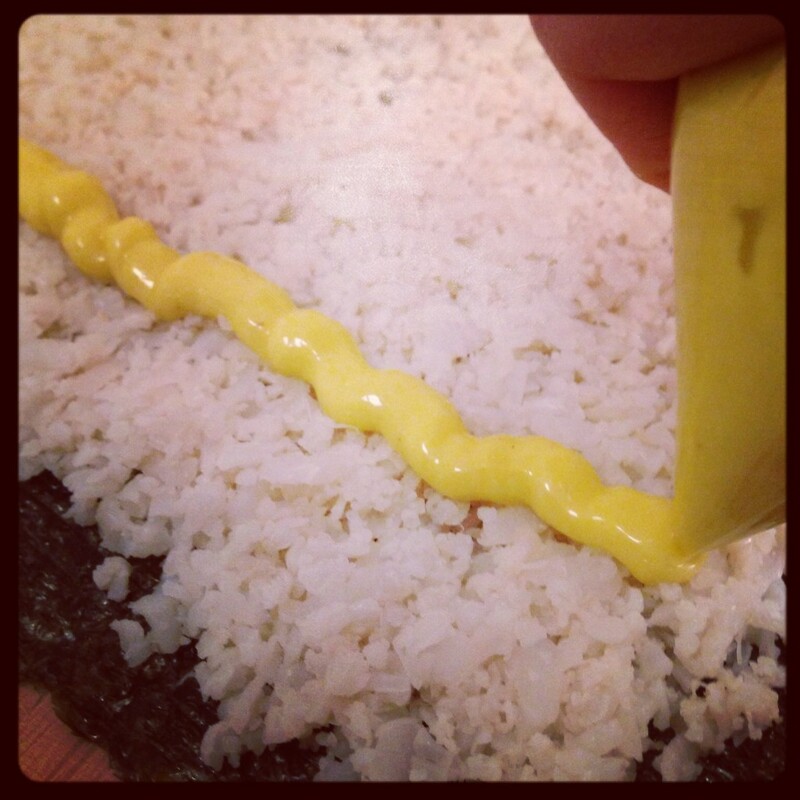 Add the vinaigrette to the rice, little by little, stir and taste again. Leave the rice in the fridge. Cut your fish and vegetables into thin slices , do not cut make the fish too thin – otherwise you will not be able to taste it.. When cauliflower rice is completely cold you are ready to make your sushi. 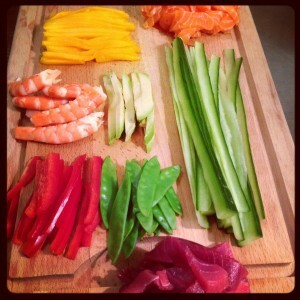 Wrap a cutting board in plastic wrap, as an alternative to a sushi mat. Place the seaweed sheet, with the polished side down. 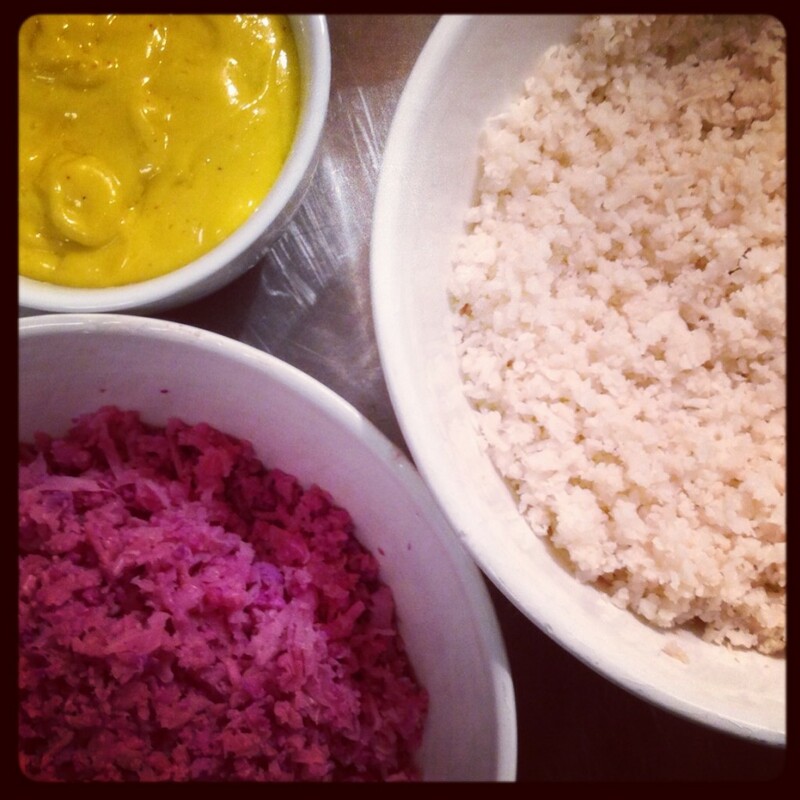 Press a thin layer of cauliflower rice leaving an empty space at the top, away from you. Add mayo and your preferred ingredients. 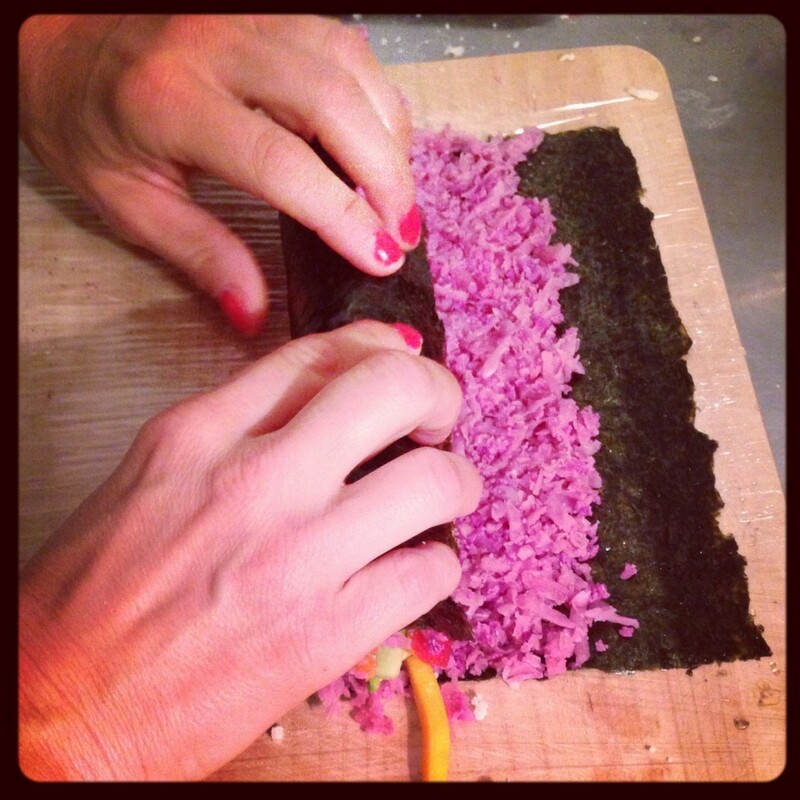 Wet the empty space of seaweed with some water, this will seal the maki when rolled. Start rolling you maki, gently, slowly but with a firm hand so the roll doesn’t get too loose. 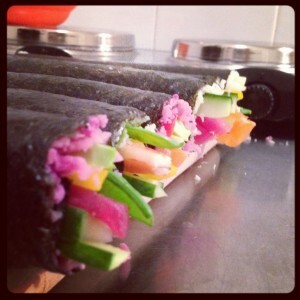 Make sure the roll is ‘glued’ together and cut your maki immediately, with a very sharp knife. Eat .. Instead of soy , I recommend using coconut aminos . This entry was posted in Sea on 05/12/2013 by tine.